If you want to nurture leads so that they proceed toward sales-readiness, it's not enough to have an attractive inbound website. Today's prospects need an immersive, tailored experience. The key is your messaging. It has to be more than just good; it needs to be relevant. Your website should speak your prospects’ language, and your content should engage them with pertinent ideas to solve their specific needs. In today's world, specificity is vital to optimizing your lead conversion rates and fast-tracking prospects through your sales funnel. And for inbound marketers, designing personalization into your company’s website is the most immersive way to speak to each of your leads specifically. What is Inbound Website Personalization? Personalization is when a website presents a visitor with content specifically tailored to his/her needs, interests, and goals. We all recognize personalization as users but, as marketers, it’s a challenging methodology to implement. In fact, today’s best examples of website personalization are still large corporations. Amazon — The first to truly master personalized website construction, they’ve created billions of personalized pages. Plus, they have a unique home page for many different regions of the world. For instance, the British version of Amazon’s home page has a link to donate to the British Red Cross. The Australian version has a section highlighting best-selling Australian authors. 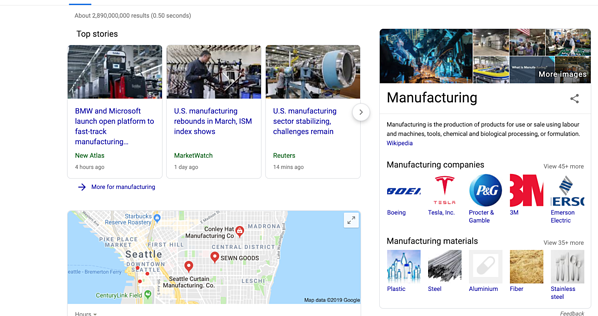 Google — This may sound incredible, but every search conducted on Google is customized to the searcher based on what Google knows about you, from location to websites visited, to thousands of other data points. Now, that is a LOT of personalization. MOZ — Personalization doesn’t have to be complex. 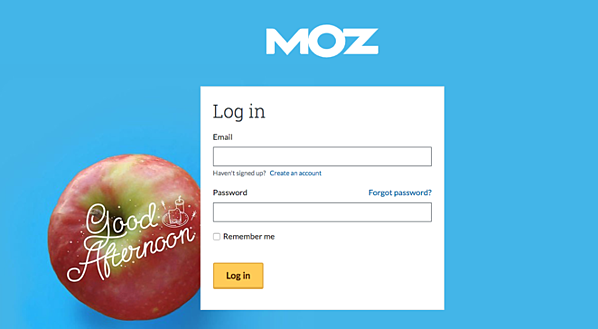 Take Moz’s login page for example — the greeting and image change depending on the time of day; from coffee to an apple to a cupcake. What Do You Need In Order to Implement Website Personalization? Personalization similar to what you’ve just seen is increasingly possible for inbound marketing websites serving small and medium-sized businesses. Platforms like HubSpot come with built-in personalization for sites hosted on their website CMS platform. The two main personalization elements in HubSpot’s toolkit are Smart Calls-To-Action (Smart CTAs) and Smart Content. Recent HubSpot data found that calls-to-action targeted to the user performed 178% better than calls-to-action that were the same for all visitors. Smart Content is similar to Smart CTAs but enables entire web pages, or sections of web pages, to change. Think of Smart Content modules as text boxes that change based on who’s viewing them. Imagine, for instance, your home page showing up with “Welcome, [USER NAME].” While Smart CTAs just switch out buttons, Smart Content modules in HubSpot provide a truly immersive content marketing experience. There are many ways to personalize. We suggest that as you plan an inbound marketing website, you also create a plan for the ways your personalization process will work. One important factor is to match your website architecture and navigation to the ideal buyer's journey. Use what you know about each visitor to guide her through the site in a helpful way. Of course, as you expedite the buyer’s journey, more sales-ready leads are eventually closed. Buyer's Journey Worksheet & Template: Map Your Buyer's Journey for Inbound Marketing! After determining your personas, personalization planning begins by determining what kind of content will be most appropriate on your website given each stage of a persona’s buyer’s journey. Typically, with an inbound project, the buyer’s journey is characterized by three key stages, so generally, we recommend identifying where in these three stages you can incorporate personalized content to increase conversion rates all throughout your marketing and sales funnel. The buyer’s journey starts with awareness. Your visitor knows he has a problem, but is not sure how to solve it yet. If a visit is made to your website (to become more aware of you), you’re likely unknown to that prospect, and you definitely don’t know him. Yet. Your website should provide that initial visitor with options; different funnels to travel. For instance, present a button on your home page of each industry to which your B2B manufacturing equipment company supplies products (eg. ; Medical, Automotive, Industrial, Military). You’re giving that visitor a chance to receive specific information regarding ways to uncover and solve that nagging problem. 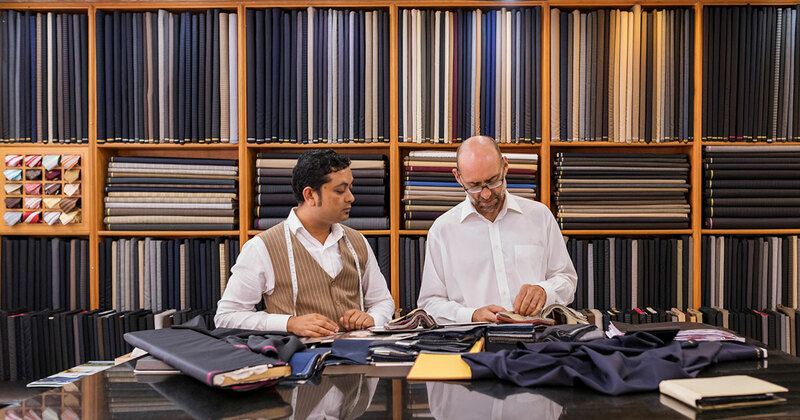 Here’s where personalization can begin. Use Smart CTAs to point new visitors to top of the funnel information such as blog posts, eBooks, and white papers on how to make production more efficient. When that information is requested, ask the visitor for more information about his/her company. Similar to Amazon’s personalized page, your personalized inbound website can then target a return visit by using Smart CTAs to push relevant eBooks and white papers, while excluding the ones that have already been downloaded. Similarly, you can use Smart Content to swap out entire blocks of content on your home page. This can be as simple as saying “Welcome Back” instead of “Hello,” or as complicated as changing the entire page content based on information you know about the lead. Continuing the equipment manufacturing example from above, if the visitor previously identified his/her industry as Automotive, your home page can feature content that demonstrates you understand the automotive industry and display resources you have specifically for their challenges (blog articles, ebooks, etc.). The middle stage of the buyer’s journey is consideration. The person understands what the problem is and knows potential solutions. Now, she is trying to figure out the best solution to address it. At this stage, personalization could be subtle but memorable. Remember that one of the industries that your B2B manufacturing equipment company serves is the automotive industry? Well, include a background video of a car on your About Us page. Do that on other key pages, too. Similarly, swap out home page feature blog articles based on topics the lead has shown interest in, such as preventative maintenance. You've already gathered information about a visitor’s needs based on forms she has completed, so you can address the problem more directly. The last stage of the prospect’s buyer journey is the decision stage. Your visitor has figured out how he's is going to fix the problem. Now, a selection has to be made regarding who will supply that solution. 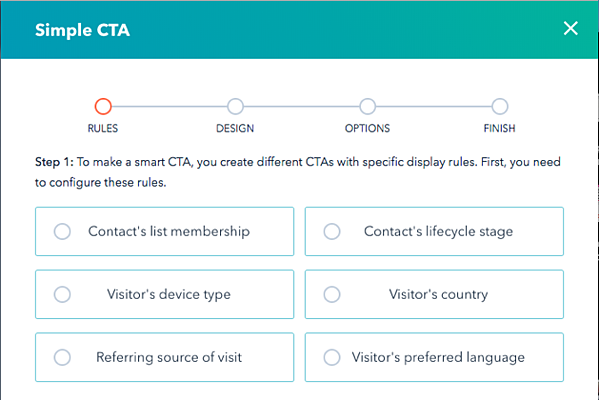 At this point, your Smart CTAs should direct leads to your product-specific documentation such as spec sheets, test results, and industry-specific case studies. Go one (or two) steps further by developing company-specific website pages containing content that directly sells your products/services to that prospect. This works well with small volume B2B accounts. Similarly, account-based marketing (ABM) targets one key prospect at a time. Your inbound website can feature content or even campaigns aimed directly at one account that delivers an incredibly personalized experience. Once you've closed the sale (congratulations), a personalized website can be a strong tool in continuing customer relationships. Remember, it’s easier to keep customers than generate new ones, and existing customers are more likely to visit your site than strangers. Therefore, consider how you can continue to delight your customers with relevant content. For instance, now that you've sold your customer a new piece of equipment, share maintenance documentation for that equipment by presenting a Smart CTA on your home page. As you make improvements to that equipment, you can also share that information with the customers that you know have the older version in use. The HubSpot platform also offers tools for customer service and support to keep you connected (and selling) to customers. This makes it easier to share your knowledgebase of helpful articles and implement live chat on your site. One of the most critical components of website personalization is to test and continuously improve. You can use A/B Testing to determine the effectiveness of your personalization efforts on your conversion rates — test CTA variations, copy variations, colors and design elements, etc. Doing so provides feedback directly from website visitors, and it shows what users really want. Implement a Growth-Driven Design (GDD) methodology for your company’s website to leverage user data to inform continuous improvements and determine where personalization would be most effective to improve your inbound marketing and lead gen results. Think of GDD as a hybrid of Lean and Agile, streamlining and formalizing workflows to gain the greatest efficiencies and performance. Personalization is a powerful tool. Marketing automation technologies and current CMS software allow us to give customers the best information specifically tailored for them. Smart Content and Smart CTAs connect with prospects and lead them to the information they need. Customer service software, A/B Testing, and GDD help keep your prospects engaged and customers thrilled with you, your knowledge, and your dedication. With a personalized inbound marketing website, not only do you create a highly targeted and efficient lead generation machine, you also create a more intimate experience for your visitors and leads, as well as your existing customers. Discover more insight about creating an inbound website that compels prospects to act. Get 10 tips you need to know in the Website Usability Checklist for Inbound Marketing. Click the button below and download your free copy.